We are all looking for ways to reduce the amount of single-use plastic we use in our everyday lives. 1. Ditch the plastic wrap used for covering left over food and switch to the very effective Cloud Cover from Chef’n. As the name implies, each lid looks a little like a cloud and will sit atop a variety of bowls, pans and pots to create an airtight seal. 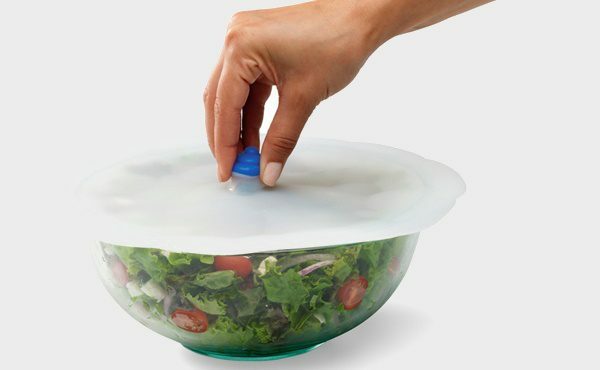 Each 28cm lid is ideal for reheating in the microwave, while preventing splatters, and storing food in the refrigerator. The Cloud Covers are made from heat-resistant BPA-free silicone―they will lock in moisture, prevent freezer burn and are both dishwasher and microwave safe. 2. Plastic straws―for juices, milkshakes and cocktails―have a far smarter replacement in MSC’s high quality food grade stainless steel straws. They are 22cm long and come with a cleaning brush and holder. They will last a lifetime. 3. The plastic water bottle accounts for 38 per cent of Australia’s total rubbish volume―an estimated 370 million go to landfill each year―so the sensible, and stylish, choice is the new Purity Glass water bottle from Contigo. Available in Jade and Smoke―and completely plastic free―the leak-proof Purity is beautifully designed, with a slightly retro feel, and holds 591ml. 4. Cuisena’s Magnetic Toast Tongs, in bamboo, are pared back in a Scandi style. They are extremely durable and definitely useful for far more than pulling toast out of the toaster. Beautifully crafted in natural bamboo they will not swell, split or absorb moisture. Twenty centimetres in length and with a magnet to attach them to the side of the toaster fridge or microwave, they are a natural addition to any kitchen. Retail prices start at $4.95 for the magnetic toast tongs. 5. And finally, a perfect swap for the hoards of plastic containers we use for storing leftover food and reheating in the microwave. The Lock & Lock Modern Steam Glass containers have a long and impressive list of benefits. 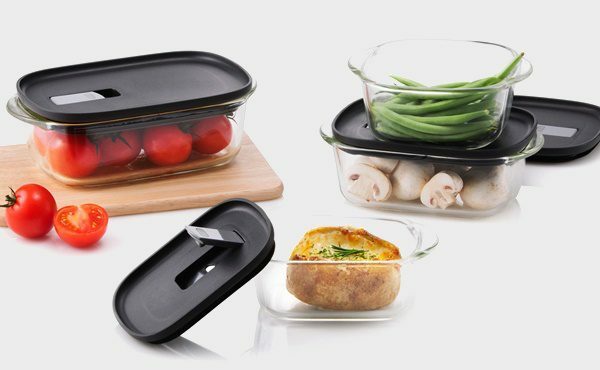 Made from Borosilicate glass they are leak-proof, airtight, and oven proof to 400˚C. They can be taken directly from freezer to oven without any fear of shattering, they are 10 per cent lighter than tempered glass and are stain and odour resistant. DKSH Australia will be exhibiting at Stand R2 at the AGHA Melbourne Gift Fair, 4-8 August. Register here to attend.